The cross-stitch kit comes complete with fabric, threads, needle and chart. 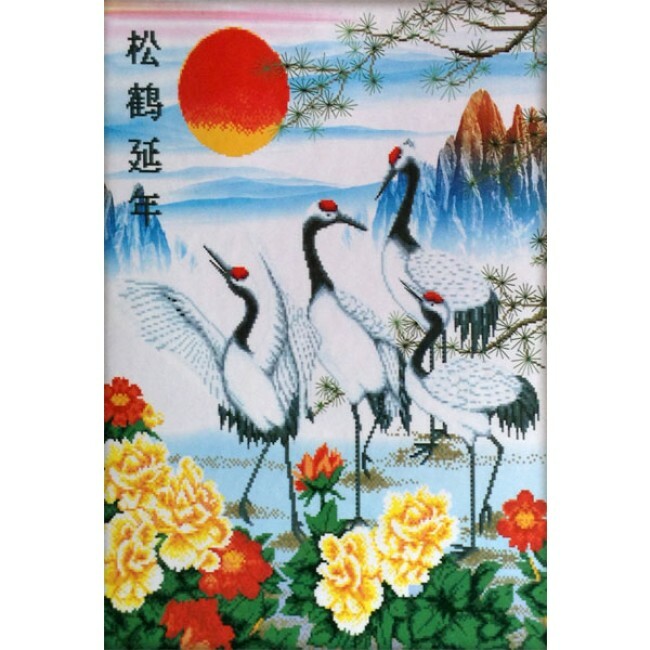 The cross stitch kit, titled as "pine and crane for longevity", includes everything you need to complete the pattern. On the stitch are traditional Chinese elements for longevity, including the pine, the cranes, the sun and the flowers. Contents: 11 count white aida, pre-sorted threads, needle, chart, and easy-to-read graphed Chinese instructions.